Meet Dr. Christine Pickup, Au.D. I Iove being an audiologist, and I’m often asked how I found this rather obscure field. I was blessed to have a mentor in high school who was a speech pathologist. I volunteered to help my mentor with a stroke client. I would visit her client in a care center and would do “homework” (therapy) with them every afternoon after school for several months. This experience sparked my curiosity. When I began my university studies, I took the introductory class to speech pathology and audiology, and within a week I knew I wanted to pursue audiology. I threw myself into my studies and had the opportunity to learn under knowledgeable professors and eventually finished my degrees. Between my bachelor’s studies and master’s program, I volunteered for my church as a missionary. This is where I met my future spouse, Wes. I had the good fortune to receive post master’s training under Robert Stevenson, Au.D. in Logan, UT. 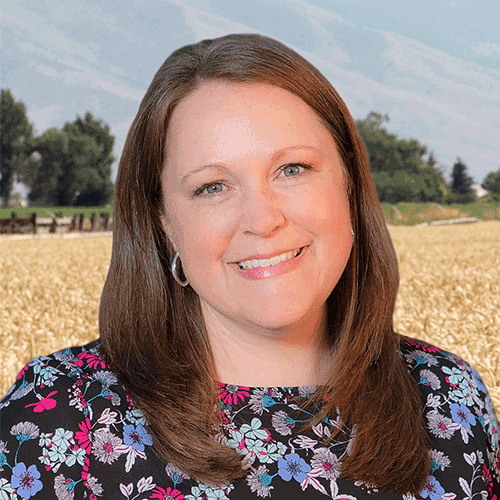 In 2006, our growing family relocated to the Mini-Cassia area, and I had the opportunity to found and manage an audiology program for Cassia County Schools. During my time working for the school district, I was given the amazing blessing to pursue my doctorate and finished my Au.D. in 2010. In 2012, my life was changed forever with the diagnosis of Type 1 Diabetes. Learning to cope with a chronic illness gave me a new perspective on how I diagnosed and treated hearing loss, which is also a chronic condition for most patients. There are many parallels between hearing loss and diabetes, and it has changed forever my approach toward and my care of patients. With this new clarity, my husband and I saw the need for comprehensive audiology care that went beyond hearing devices in our community. We took the leap to open a new business and founded Mt. Harrison Audiology in 2014. At Mt. Harrison Audiology, we follow a medically-based approach to diagnosing and treating hearing disorders that is compassionate and personalized to each patient. Just as with diabetes management, hearing loss management is a lifelong process, not a single visit. We make the commitment to care for your hearing and communication health for as long as you need us, providing you with the best care possible. Schedule Your Complimentary Consultation & Meet Dr. Christine Pickup today!